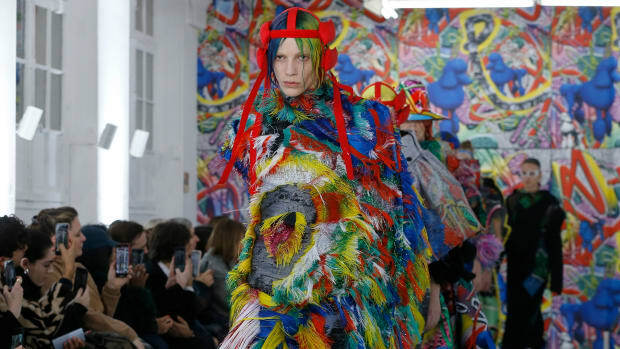 John Galliano presented his latest collection during Couture Week in Paris. Each look was a crazy-cool work of art. Today is day two of Chloe Sevigny's takeover on Nowness--and unsurprisingly there are many gems to be enjoyed--like a just unearthed X-girl video in which Sevigny sneaks into a Marc Jacobs show and asks Naomi Campbell, Jacobs, and Hamish Bowles if they've heard of a particular World Bank exec. (They hadn't.) It's weird and very, very 90s as one can imagine. Sevigny also sat down with Interview's Christopher Bollen to discuss everything from New York in the 90s to dating Harmony Korine. We have an exclusive excerpt from the interview--which won't run anywhere else--that has the queen of indie dishing on modeling (in a mask!) for Margiela in 1995, and her "weird addiction." Read on. Name: Terence Koh Occupation: Artist What kind of art do you make? Everything What is your favorite color? White What is the most prominent color in your wardrobe? White, only white. What is your favorite dessert? Coconut cake How do you take your coffee? I don't drink coffee. Name: Christian Brylle Age: Unknown Occupation: Model What is your current favorite song? "Good Times Bad Times" by Led Zeppelin If you were to get a tattoo today, what would it be? I don’t want any tattoos What kind of shampoo do you use? I don’t use any, just water. Britt has a pair of extremely holey black jeans and yesterday, a guy on the street told her that his mom could sew up the rips if she was interested. Would You Wear Split-Toe Shoes? We've obviously been spending a serious amount of time shopping online. Margiela and Miu Miu cost less than Michael Kors these days and that, we love.